So I’m sitting there by my phone, sipping a coldie and patiently waiting for Steve Earle to call. His manager has set up the “phoner” himself and guaranteed me that Earle will call from Dallas after his Lollapalooza gig. I’m raring to find out how his set went, and how the renegade country-rocker got booked onto the mostly metal bill in the first place. But the phone doesn’t ring, and after a while—three Old Styles, to be precise—I give up waiting, feeling depressed. I’ve interviewed the guy three times before, and not just over the phone. I’ve met him backstage, had my picture taken with him, and even taken that photo back to get it signed the next time he was in town. It’s framed and proudly displayed on my rock-room wall. Heck, I thought we were buds! I guess I’m a little naive. Approachable guy that he is, Steve Earle poses for a lot of snapshots, signs a lot of stuff—he probably doesn’t know me from a hole in the ground. But I’m still a tad relieved to hear from his apologetic manager the next day that Steve’s got nothing against me personally, and that he definitely would have called at the prearranged time if not for the fact that he left Lollapalooza in a huff after kids pelted the stage with whatever they could get their hands on, to the point of knocking over his drummer’s cymbal stand. Earle feels particularly burned by a feature story that appeared in Spin magazine, painting a typically sensationalistic portrait of an artist on the skids. Vancouverites aren’t likely to hear a snappy rendition of “Jailhouse Rock” when Steve Earle and the Dukes make their way to town for a show at the Rage on Friday (August 9), but they will get tunes from his critically acclaimed new CD, I Feel Alright. 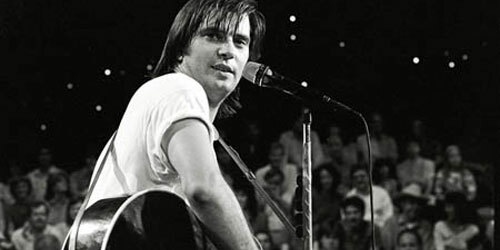 His biggest hit, “Copperhead Road”, should make the set list as well, especially since the 1988 album that sports that moonshine-running epic has sold nearly as many copies in Canada as it has in the U.S. (close to half a million). But having been out of the musical picture for a while, Earle is having to forgo the larger venues—such as the Orpheum Theatre and the Pacific Coliseum—that he’s headlined here in the past. While Earle says that he’s particularly proud of his new album—and his acoustic Train A Comin’ disc of last year—he points to “Ellis Unit One”, a track from the Dead Man Walking soundtrack, as “the best writing I’ve ever done”. Earle’s determined stance against capital punishment is well-known. It was first brought to light in “Billy Austin”, a compelling ballad from his 1990 The Other Kind album, which tells of an American convict put to death in the electric chair. The strength of his convictions emerges when Earle hears that I’m somewhat of a fence-sitter where the issue is concerned: I agree in principle with his humanitarian ideals, but find them difficult to harbour while a Clifford Olsen still breathes. “We have people like that down here, too,” he says of the convicted B.C. child-killer, “but that has nothing to do with the issue. The issue has nothing to do with the severity of the crime. That’s why I was so pleased with ‘Ellis Unit One’. When I wrote ‘Billy Austin’ I don’t think I did quite as good a job of avoiding the issue of severity of the crime.